Trust me on this one. There is one sure way for a new streamer to get viewers, regulars and followers. 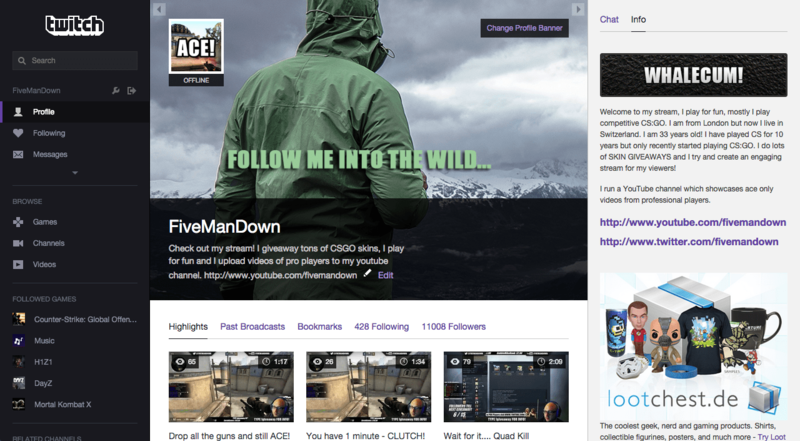 One of the hardest things for any streamer to do is to get the active viewer count up. The easiest way to do this is with a coin bot. They come with many names, coin bot, token bot, loyalty bot, points bot, reward bot. Essentially they are all the same. 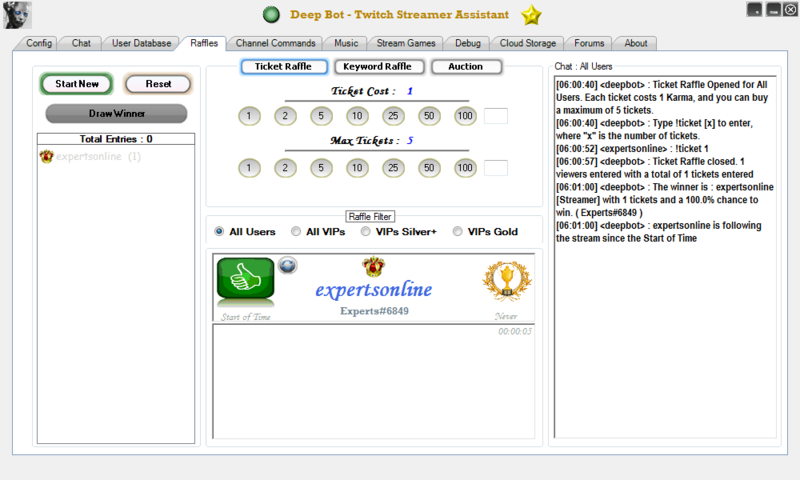 A coin bot will sit in your chat room and hand out virtual coins to your viewers. Typically viewers will get rewarded with 1 coin per minute that they view your stream. This causes people to idle in your channel and collect coins, which gives you a higher viewer count and that puts you higher up the Twitch channel page. The higher you are, the more people visit the room and the more followers and viewers you gain. I typically have a minimum of 20 viewers in my channel even on a really quiet day and some of them are even AFK but I simply don’t care because I am higher up on that Twitch channel page which means fresh people are now coming into my chat room. This is how a coin bot works and this is why savvy steamers use them. There has to be some sort of incentive attached to the collection of coins. If you run giveaways or do something for every x number of followers a coin bot can really help you get those regular viewers to stay in your chat. No Problem! You can invent all kinds of ways to reward your regulars. Viewer games, sing them a song, do 10 pushups. I know not every streamer can afford to run giveaways, but giveaways don’t have to be huge amounts of money. I personally giveaway Counter-Strike Global Offensive skins on my channel worth around 0.35€ for every 15 followers. It doesn’t break the bank. Knowing that I have around 11k followers I have easily spent over 250€ in the last year. This sounds like a huge amount amount of money but it’s really only about 20€ per month and I stream 2-3 times a week. Twitch is my Hobby, I love streaming and 20€ a month for a hobby isn’t too much to spend. I also really enjoy doing the giveaways and it gives my stream a little something extra. I have tried 3 different coin bots, I wont mention the others here but I had some issues in the past. One time I was giving away an AK47 Redline and had around 200 active viewers in my chat and my coin bot crashed. It was a nightmare as I had been preparing this giveaway for weeks and in the last minute it all failed. I looked ridiculous. Continuing from what I said earlier I have had over 450 viewers in my chat at once all interacting with DeepBot and it has never crashed on me once. This is the only coin bot that I have found that can be trusted with large viewer numbers. I don’t think a single other bot has a feature which doesn’t come included in DeepBot. If your using multiple bots it’s time to switch. DeepBot does it all. Deepbot is the best Twitch bot. DeepBot is currently in the beta stage and to get it set up and running you will have to donate $10. But this is a small price to pay for such a great Twitch bot. If your looking to get higher viewer counts then I really think you should invest in DeepBot today. I am currently reworking the graphics on my Twitch channel and I noticed some interesting things about the Twitch profile banner image that I will share with you. It took me a little while to figure this out so I hope you like it! Also if you are looking for more followers then I have a bunch of Fiverr gigs that can generate you a lot of followers on Twitch. Check out some of my customer reviews, I am very proud to say I have many happy customers! So let’s take look at what I learned about the Twitch profile banner. I have also included a free Photoshop file for you to download. 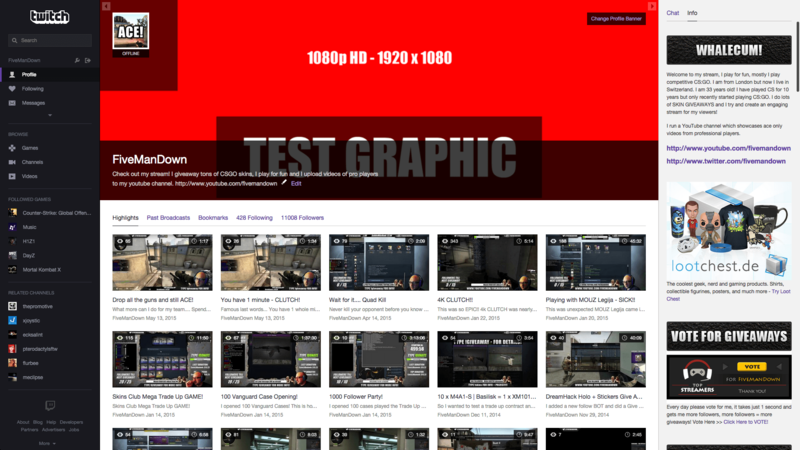 Twitch recommends that we upload an image which is 900 x 480 pixels. I noticed that this size is almost a 16:9 resolution. 16:9 is a very common ratio size for video and most HD monitors work using a 16:9 ratio. I have attached an image below which shows a 900 x 480 pixel image that has been stretched so it’s width is 1280 pixels which allowed me to test it against a 1080p resolution or 16:9 image ratio. 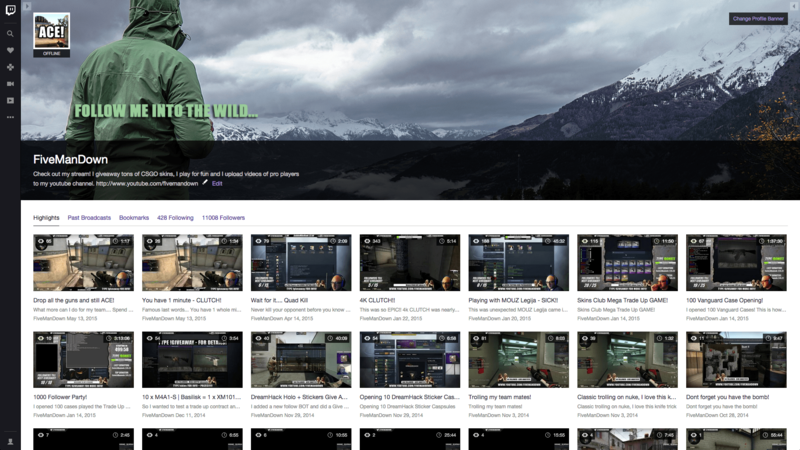 As you can see there is a small red bar at the bottom of the image that represents the difference in size between the recommend Twitch profile banner size and an image which is 1920 x 1080 pixels. 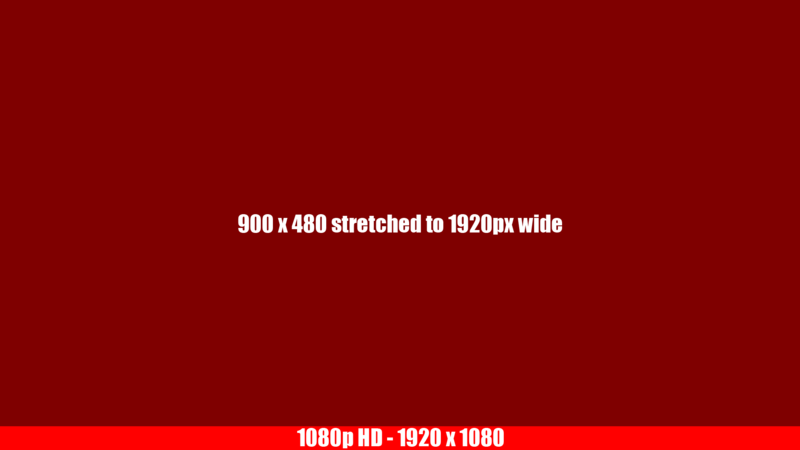 I noticed that if you upload an image which is larger than 480 pixels in height Twitch will resize it to be 480 pixels and then it stretches as the screen size gets bigger. As monitors change in size so will your background and how it looks. 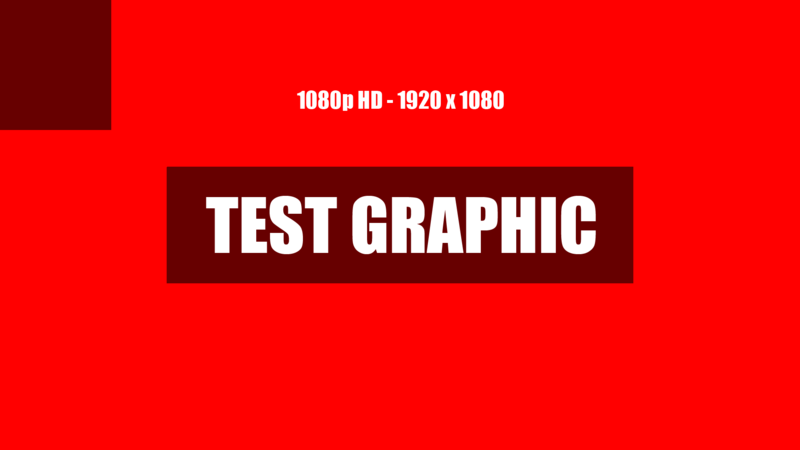 I have included two images below which will show you how my 1080p test graphic changes depending on the size of the users monitor. To test this you can simply drag your Twitch profile window bigger and smaller, this will only work if you already have a large monitor. Finally Twitch encourages you to add a background color to your image upload and I figured this is to support really huge monitors. But I don’t seem to be able to produce a scenario where a background actually requires the background color to be present because it seems to always stretch the image to be as big as the users screen. After much testing I can recommend creating a background profile image that is 1870 x 500 pixels. This allows you to create a really good design plus it doesn’t create the awful scaling problems that seem to happen with images that are using a 16:9 ratio. I have created an Adobe Photoshop file which can be used to create stunning Twitch profile backgrounds that work across all screen sizes. 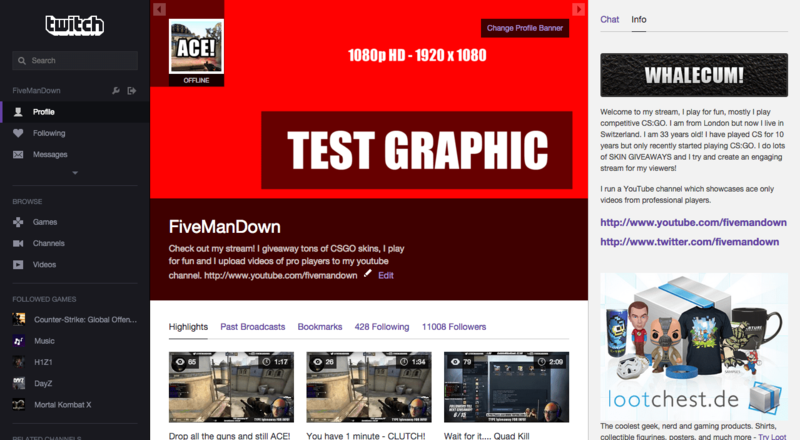 Below is a link to my Twitch profile banner template and a sample of how it looks. I have put some notes in the file but basically the majority of the important information and image should be placed in the area marked Visible Area #1. This allows all users to see your message and main graphic. Visible Area #1 – This area should contain any important messages you want the user to read. Be careful of the Twitch footer overlay and Twitch profile Avatar. Visible Area #2 – This area can be seen on larger screens that support 1080p HD. This area can contain nice art work. Most people will see this area as well as area #1. Visible Area #3 – Most people will not see this area but some people may see it. I made a very quick sample background which looks beautiful across all screen sizes. I hope you found this tutorial informative and useful, please leave me a comment below with a link to your Twitch profile if you use my photoshop template, I would love to see what you can do with it! I wanted to share a recent experience I had, I have been using Twitter to see what kind of user engagement I can create. I am looking at different ways to see if I can get new followers, retweets and favourites on Twitter and then can I get these people to follow me on my Twitch. I have done this a few times. Create a nice graphic and give people a good reason to retweet your message and you will get lots of retweets. This is a recent tweet I did, where I am giving away 2 x Bloodhound passes for Counter-Strike Global Offensive. I find this works well, giveaway tweets always work for me. To create a good giveaway tweet I tell them what I have and I tell them what they need to do to get it. They need to retweet the message and they need to follow me on Twitch. I have picked up approximately 30-40 new Twitch followers with this tweet within a few days of tweeting it. I found a service called TweetEnterprise where you can find user accounts of people that can retweet your message or even tweet a message for you for cold hard cash! I spent a total of $11 and in theory my tweet was retweeted to around 3,468,827 Twitter users. I used these accounts below, I have included the number of followers they have and the cost of a single retweet from each account. After I paid, I saw the retweets, it is in no way a fake service. I spent the money and the tweet was retweeted quite clearly by these accounts above. But I saw nothing to suggest that it created any more interest in my giveaway. I can only assume that these accounts are so diluted with messages that the people following them are either zombie accounts or they just did not like my tweet. I picked the accounts above because two of them seem to be gaming related and the other one was the largest account on the TweetEnterprise site. I saw no real increase in retweets, favourites, tweets or follows… Nothing… Not a thing… I was disappointed. It is a huge shame because I would use such a service again if it had worked. I may try again a second time with a different approach or maybe using some of the smaller cheaper twitter retweet accounts. I don’t know if paying for retweets actually works, for me I just tried this service once and it didn’t have any real effect on my already quite successful tweet. For the record this tweet had around 110 retweets before I paid my $11 and at the time of writing this article it had 126 retweets and 44 favourites. I recently attempted to make a small montage from some of my past broadcasts on Twitch. It is not as easy as you would expect. 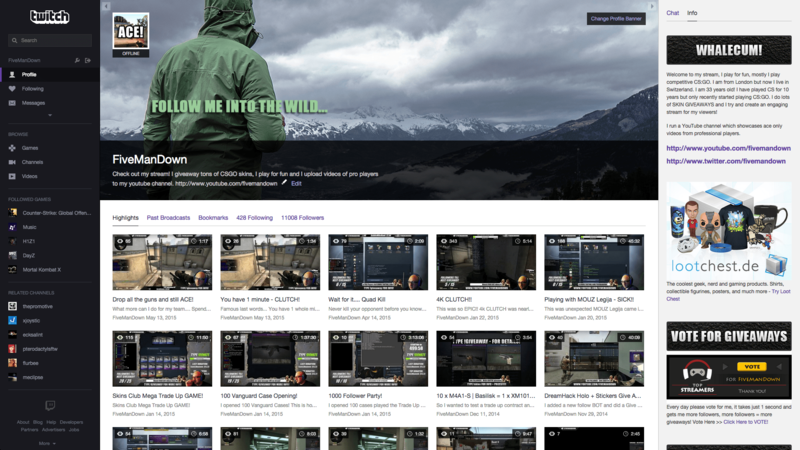 Firstly there is no way via the Twitch site to download videos, you will need to use a 3rd party website to get the video file from Twitch. Secondly once you have the video file it seems most video editing software doesn’t understand the format. Videos from Twitch download as the FLV file format which I found will not import into iMovie or Adobe Premier. 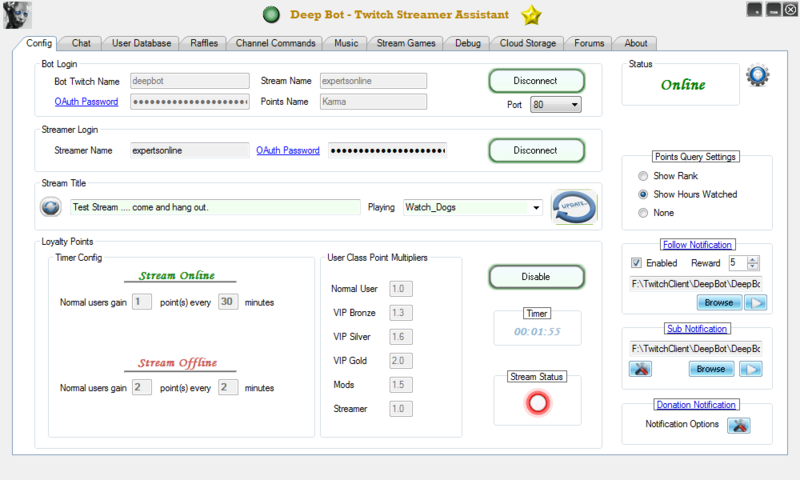 This is the easy part, there is a few tools online which will take a Twitch URL of a previous Twitch broadcast and allow you to download the video. Once you have the video you will need to convert it into something more useful like an mp4 video file. For this I use a tool I have been using for years, it is with out doubt the best video converter there is… simply because it is free and it works! Imagine that! You will need to download handbrake and this will convert FLV files to MP4 files. I decided to start making some video tutorials to help streamers who visit this blog. Here is my first video tutorial. I will show you exactly how to download videos from Twitch and how to convert Twitch FLV files to MP4 files easily with handbrake. Handbrake is awesome, Twitch FLV file format is not so awesome. It would be great if Twitch would allow direct download via their site in MP4 format but for now we need to use this work around. If you plan on using Twitch content to make YouTube videos regularly then I recommend making a copy of all broadcasts at the time of broadcasting, this is easily done with OBS. See option 3 of this article for a brief how to.